Do you have FUN running through your veins? Be sure to scroll down for more details on these fantastic positions! You have an opportunity to work with an Award Winning Employer, a company whose culture stems from fun, passion and positivity! 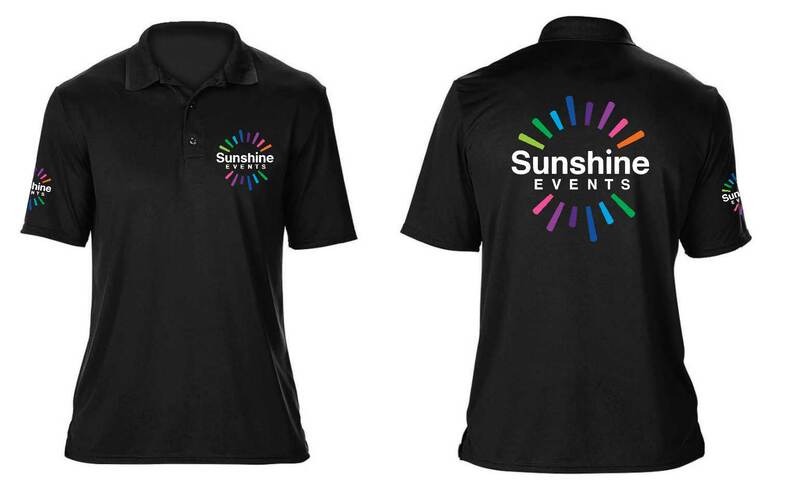 Sunshine Events provide an environment where each and every Fun Expert can thrive. An environment that invites laughter, ideas and support. We will inspire you to reach your goals and aspirations, recognise skill and passion. We need fun, customer focused people who have a passion for life and love to smile. Do you have something special you can bring? Do you enjoy a challenge? Do you want to love coming to work? Please email us (hr@sunshineevents.co.uk) with why you want to be a Fun Expert and why Sunshine Events needs you! Due to continued expansion this is an exciting opportunity for the right candidate to join the company in a newly created role, This role is based at our new depot in Milton Keynes. Working closely with the Logistics department based at our head office in Lancashire and reporting to the Operations Manager you will be responsible for the efficient execution of all warehouse processes. You role will be to ensure that processes are followed effectively and continually optimising and improving the processes with the goal of delivering excellent customer service and helping to build up the new operating structure in the South. As part of the continued expansion, you will be responsible for implementing new processes, identifying opportunities for improvement, measuring and monitoring performance and working closely with the Logistics department to make most use of digital solutions as these are introduced into the department. A key part of the role will be to work with the Operations Manager in developing metrics and reporting on efficiency and progress towards improvements in the delivery of events and the efficient running of the warehouse. As well as being actively involved in delivering the events, this role requires knowledge of warehouse systems, processes and practical skills as you will be responsible for the preparation, repair and upkeep of our equipment and ensuring the warehouse and event delivery runs effectively, efficiently and to capacity at this 3000+sqft warehouse location. Initially, a large proportion of your time will be taking responsibility for delivering unique bespoke events to our clients in conjunction with our team of Fun Experts, utilising a wide range of equipment from inflatables to hi-tech items such as Photo Booths and Virtual Reality Experiences. Experience of maintenance, service and repair of mechanical and electrical equipment. Previous experience in direct customer facing roles. Educated to a degree level or equivalent in a related subject. Training is provided and as part of the induction process you will be required to attend our Head office in Lancashire. The role is full time 40 hrs with a flexible approach to working hours as the business requires in peak times. Should you wish to apply for this position then please forward a letter of application to hr@sunshineevents.co.uk along with a copy of your C.V.
*Please note that salary will be dependant on experience of the successful applicant. 2019 is an exciting year for the years! Kicking off the year, the Fun Experts have opened their new depot based in the South of the UK (specifically, Bletchley, Milton Keynes). Having delivered fun to the nation for over 15 years now, the time has come for us to better serve our friends down south; our southern depot will be better suited to provide fun event equipment hire to events taking place in London, Reading, Slough, Luton and many, many other areas covering the bottom half of the country! And we're looking for Fun Experts to join the team! If you fulfil the above and want to experience a career with the Fun Experts, email us now (hr@sunshineevents.co.uk). You can send us your CV and explain why you want to join Sunshine Events. If you want to send us a short video instead, go right ahead! We want to hear from you! *To be eligible for the position, our Vehicle Insurance Policy requires staff to be 21 years old or over. Home to our Head Office and North Depot, where it all began back in 2003, our Events Team up North are in search of new Fun Experts to join the team and travel the UK to deliver fun to a variety of clients and events! Founded in 2003 we are the number 1 Uk Supplier of Fun Equipment delivering over 1302 events in 2018. We’re a 60 plus strong team of event entertainment specialists and it's our job to deliver bespoke tailored events to a wide range of corporate and professional clients across the UK. Through hard work and determination, we’ve established ourselves as a stand out events company that delivers high quality experiences and extraordinary customer service with our huge range of event equipment. From Virtual Reality to inflatable activities such as Wipeout, you name it we own and operate it all. The Fun Experts are an Award Winning Employer, we provide an environment where each and every Fun Expert can thrive and feel valued. An environment that invites laughter, ideas and support. An environment that invites laughter, ideas and support. We will inspire you to reach your goals and aspirations, recognise skill and passion. If this fits you, we want to hear from you! What can you expect from the Fun Experts? An open door - the Leadership Team value your ideas, suggestions. Every month we hold a Drop In Day for all staff to attend if they wish and spend time to discuss whatever they need direct with the team. Travel the nation! See parts of the UK you may have missed!